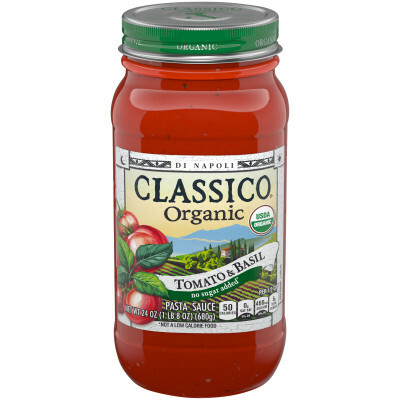 organic tomato puree (organic tomato paste, water), organic diced tomatoes in juice (organic tomatoes, organic tomato juice, calcium chloride, citric acid), organic roasted garlic, organic evaporated cane sugar, organic extra virgin olive oil, organic garlic, organic onions, sea salt, organic roasted red bell peppers, organic spices. 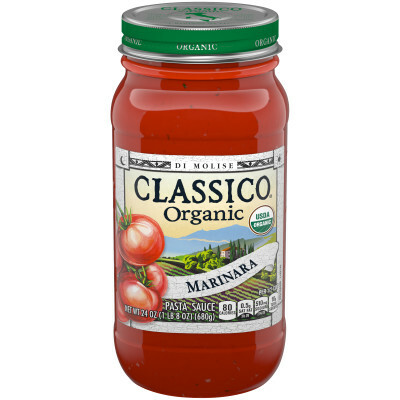 In sunny Sorrento, artisan talents flourish by the seaside and in the kitchen. 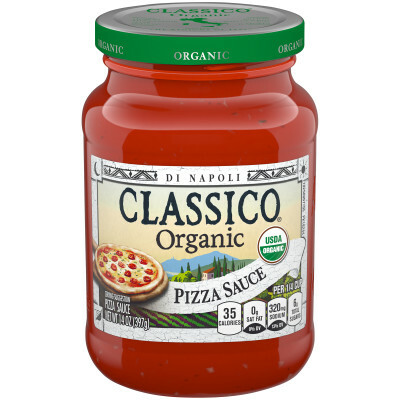 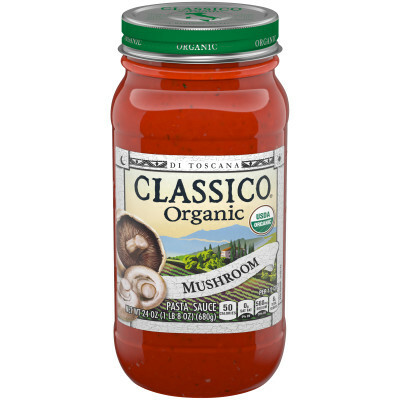 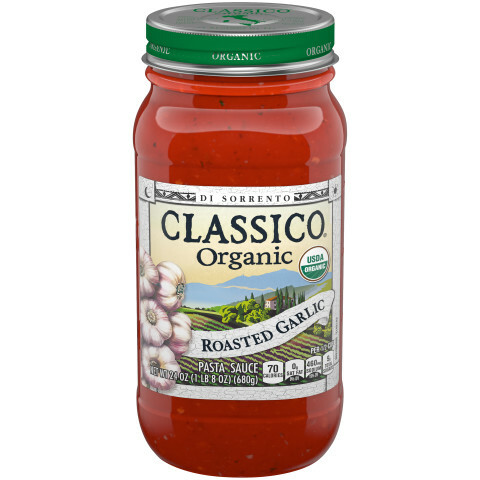 Here, fresh garlic, roasted to perfection, adds a delicate balance to this sun-ripened tomato sauce.